Painting leather can be tricky–it’s brown, which can be so easy to make flat and plain and boring. But leather, done well, can really pop. So today we have a couple of videos that show off some techniques for painting leather (or other brown things). The folks down at Privateer Press are painting up some textured leather this week. Check out this quick tutorial that outlines some good techniques for making the leather seem mottled, and much more organic. 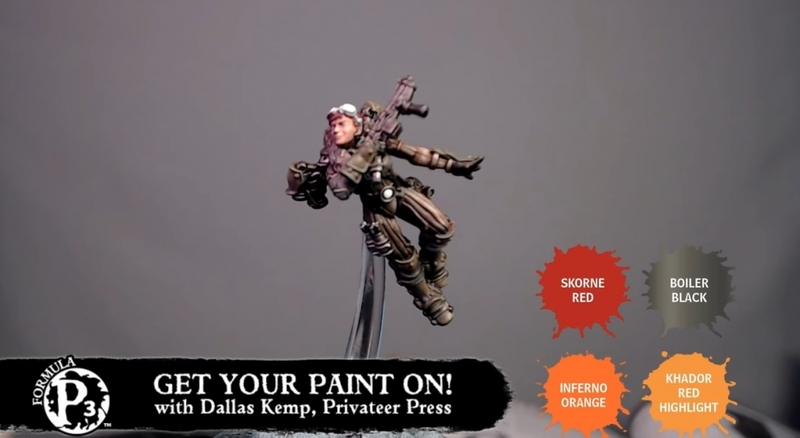 And of course you can see it all in action in longer form with the Get Your Paint On featured below, where they paint up the rocketman ace you see featured in this article. What a cool model, just watch out for the FBI and Howard Hughes. The technique for painting textured pleather is basically the same thing, but it lets your minis be vegan.